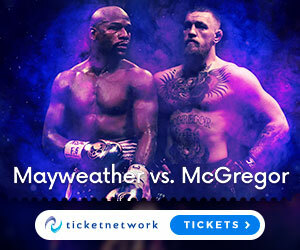 When the doors of the coliseum close, when the crowd roar, the gladiators cross swords and the contest begins – there is no give in this contest, only the will of the combatants, in amongst the politics and conspiracies that goes into Caesars UFC match making. Most fall, only a few survive, even fewer challenge the throne, and sometimes…..sometimes there are those that emerge from the deep, those that cause shock waves throughout the UFC lands, a titan that stands on top of the mountain for aeons of time as a vision of pure dominance, a champion of champions, who then go on to become legend, forever remembered in the halls of Valhalla as one of the UFCs greatest fighters ever – But in all seriousness who would you have in your Top ten UFC fighters of all time? Its an interchangeable question dependant upon a persons character, their tastes and opinions about life that create our idea of what we think is the best in anything in general – its no different trying to name the best fighters of UFC history. If you want to open up the annals of the greatest UFC fighters in history, then this cannot be spoken about without uttering the name Anderson Silva. The moment he stepped into the UFC on June 28th 2006 at UFC Fight Night 5, where he knocked out Chris Leben in 49 seconds of the first round, UFC fans have magnetised to Anderson Silva. After the Chris Leben fight, Anderson went on a 16 fight win streak with 14 title defences in this run. This is the run that made Anderson Silva a myth of MMA legend, as he bypassed some of eras best fighters with ease in many cases. Then to add to his amazing run in the UFC, it has to punctuated with one of the most devastating declines I have ever seen in a champion – when he was brutally Knocked out by Chris Weidman in their first fight, and then went on to suffer a horrifying leg break in the rematch – I really cant remember ever being so shocked by such a dominant champions devastating losses at the hands of one man. But regardless of how his run was ended, his moments of pure magic inside the octagon are something I will never forget until the day I die. Some of the things Silva has done in the cage, are some of the most creative and devastating striking techniques you will ever see, and in his prime Anderson was the epitome of untouchable in the UFC. Canada’s best, and one of the greatest martial artists to ever step foot in the octagon – Georges St. Pierre has had a truly legendary career. GSP as most of his fans call him, displayed over 6 years of pure dominance at 170 pounds, after beating Matt Hughes, and Matt Serra the only two fighters to beat GSP in his 25-2 career – GSP went onto to complete a still undefeated record at welterweight of 10 straight title defences. GSP also has had a massive impact on the sport outside of the cage, by being one of the first UFC fighters to demand better drug testing regulations in the sport. Fascinatingly enough, after GSP began talking about the problems of drug abuse in the sport back in 2013 among his Johny Hendricks fight, USADA (US Anti Doping Assoctiaion) is now in a contract with the UFC to test all fighters before fights. While GSP himself has gone on to say that things are not perfect, as some people are still trying to cheat the system, but things are much better now then before GSP opened his mouth – having this sort of impact on a sport alone makes GSP a staple of any top ten UFC fighters list. On top of all these achievements, GSP is also one of the founding members of MMAAA (Mixed Martial Arts Athletes Association) where the focus is on equalising the sport to provide fighters with better paychecks, and more job security and pension plans etc. After getting annoyed by steroid abuse in the sport, and also saying he was having problems sleeping because of strange dreams, Aliens and general stress – GSP took a long break from MMA after his Johnny Hendricks fight in 2013. He is now back in the UFC with a fight against UFC Middleweight champion Michael “The Count” Bisping coming in the near future! Some fighters in this list you have to say love them or hate them first – Jon Jones is one of those guys, but in all seriousness I really don’t care if you love or hate Jon Jones, because he is WITHOUT QUESTION one of the greatest UFC fighters of all time, who would make any true MMA fans top ten list with ease. When Jon Jones first arrived in the UFC, it was the first time we had seen such a powerful athletic young wrestler with a combination of amazing unorthodox creativity, accuracy and power with his striking. I mean when you look at his resume of who he has beaten, it is one of the most impressive in this list defeating legendary opponents the likes of: Vitor Belfort, Lyoto Machida, Quinton Jackson, Mauricio Rua, Glover Teixeira, Daniel Cormier and many others. When you watch his fights you can see why he has the nickname Bones, because it often looks like his bones literally hurt all his high level opponents without a huge amount of force. Jones for instance doesn’t have the KO power of an Anthony Johnson type, but he has never needed this due to his incredible talent in the fight, to chip away at opponents with a variety of creative strikes, and his limbs which like I say literally look like they hurt people with his ease. Infact Jon Jones is the only legitimately undefeated fighter in this list because although his record says 22-1, every true MMA fan knows that his one loss on his record to Matt Hammil, was no loss at all – I watched that fight and Jon Jones was doing what he has always done to all his opponents in teh cotagon which is beat them up, and Jon Jones was doing a particularly good job of that on Hammil. it was only a few mistimed 12-6 illegal elbows that Jones landed on Hammil that got him disqualified, but bottom line the DQ saved Hammil because he was about to be finished by Jones, so nobody truly counts the Hammil fight as a legitimate loss for Jon Jones. Outside of the cage Jon Jones had some problems, for instance having multiple car crashes, chasing muggers, getting arrested, drug abuse, and signs of some apparent identity/psychological issues just to name a few problems. These problems are the reason Jon is not currently active and hasn’t been for the past few years, there’s a lot to be said just about him alone, but he is one of the best to do it, and I can’t wait to see him back in the cage. Talk about one name being so influential in the UFC and the sport of MMA in general, Royce Gracie is a total GENERAL in that respect. I mean I don’t know about you, but I hadn’t even heard of Jiu-Jitsu before until i watched Royce Gracie competing in the first UFC events – most people in the world hadn’t. Now while the standard of MMA was not very high in the early days of the UFC, it was still mind blowing how Royce was winning his fights by a simple tactic of getting take downs, getting dominant position and then locking in a submission with his elite of the elite Jiu-Jitsu skills. The Gracie family is literally synonymous with the creation of Brazilian Jiu-Jitsu, because interms of modern Jiu-Jitsu the Gracie family are without questions the original founders. After his debut at UFC 1 where Royce defeated Art Jimmerson in the first round, he then went on to defeat his next 11 opponents in the UFC before drawing with Ken Shamrock in 1995 and then moving over to the Japanese MMA scene for 5 years. Royce Gracies original run in the UFC really is stuff of legend, and his impact on the sport has been evident by the very fact that every single UFC fighter today trains Brazilian Jiu-Jitsu in order to compete at the top levels of the UFC. For years after seeing the dominance of various legendary UFC fighters who all predominantly used a variation of Wrestling, Jiu-Jitsu, Boxing, Kickboxing and Muay Thai techniques – nobody really belived that Karate could really be effective in an MMA bout. That was until Lyoto “The Dragon” Machida stepped foot in the octagon in 2007, because his style immediately caught peoples attention, because of how traditional Karate his stance and movement was in the cage. Lyoto has been training Karate since he was around 4 years old, and by the time he reached the UFC he was a 4th degree Shotokan Black Belt. His style was so unique and generally amazing to watch, in terms of what we were used to seeing as MMA fans at that time – because the way Machida would be bouncing on his wide based stance, utilising great kicks, darting in and out to land some strikes, and then cut an angle and dart out of harms way before his opponent could counter it was truly a refreshing style to watch and see done effectively. Before Lyoto Machida most UFC fans and many fighters too, would crack jokes about Karate being a false art that is only fit for children or the film world like in the famous Karate Kid films. Lyoto Machida, just like Royce Gracie and other legends of the UFC literally held a spotlight on one specific art that nobody really believed in, and showed the world – that this style can be highly effective in a real fight. Little men cant be dominant athletes right? That was what most people in the UFC fan base thought before the UFC created the 125 pound flyweight division in 2011 and one man – Demetrious “Mighty Mouse” Johnson has ruled supreme for over the entire division since its inception. He is currently riding an 11 fight win streak, with 10 back to back title defences, which is as good as any of the UFC greats. The UFC literally created TV show last year, just to try and come up with a true challenger for Demetrious somewhere in the world. That was an unsuccessful attempt, and now the 125 pound division is almost a lost division currently in the UFC, because there are literally no new fights to make for Demetrious Johnson. He has legitimately cleaned out the entire division, and it is possible that if no new threats emerge at 125, that Demetrious may one day vacate his belt and move up to 135 or just retire undefeated. the 125 pound division is known for guys with lightning speed, incredible diversity of techniques, and insane cardio – Mighty Mouse makes other 125ers look slow, because very simply put he is the quickest, most diverse and best conditioned of the whole division – sometimes when you watch his fights, its almost like he is moving quicker then your eyes can follow, and almost like he sees his opponents in slow motion. Love her or hate her, Ronda Rousey will never be forgotten in the halls of UFC history, and at one time was dominating women’s MMA in a way that has never been seen before. She was the first woman to open the doors to the UFC in 2012, when UFC president Dana White in interviews years before would often state that “women will never fight in the UFC” – Ronda single handedly changed that limited concept. But ok yes we all know that she is a polarising figure, there are many things she did outside of the octagon which have caused UFC fans to dislike her more through the years, as well as conspiracies galore about her achievements in teh cage. Also we know after seeing her devastating back to back KO losses to Amanda Nunes at UFC 205, and Holy Holm at UFC 193, that Rondas striking doesn’t seem to up to par, or even close to good enough to compete at the top of the 135 pound womens division anymore. Her training camps/headcoach (Glendale, Edmund Tarverdyan) has often come under fire in the media for Rondas poor recent performances, as well as her relationship with UFC Heavyweight Travis Browne who has been accused of domestic violence before, Ronda’s mother having an ongoing feud with Ronda’s coach, also rumours of friction with UFC ring girls, as well as flirtatious behaviour with bosses – so there are Conspiracies galore that seem to follow Ronda’s career. Then more gossip from some people, say it was match fixing that lead to her intial 12-0 MMA career, which included 6 UFC title defences. Some say it was performance enhancing drug abuse that led to this run, and then from there the conspiracies get even crazier. Can a guy really be competitive with the elite of the UFC in their 40s? Surely not right? Well that was what everyone thought until around 2007 when Randy was about 43, and he defeated Tim Sylvia to capture the UFC Heavyweight title, that people started to realise that the human body can keep going for a lot longer then we knew. Some say it was PED’s, that were responsible for Randy Couture being able to compete with the elite of the UFC way into his mid 40’s. Now considering one of his longtime friends and training partners Dan Henderson (Who very nearly made this list) has had some issues with TRT/steroid use coming out in drug tests, and also fought way into his 40’s, well I can understand why some people are sceptical. But bottom line as GSP and others have highlighted, before USADA came into the UFC, their was really no drug regulations, and around 60-90% of UFC fighters were using performance enhancing drugs. Now if that is true, then that makes what Randy Couture did even more impressive, because look if a young MMA fighter is taking steroids, and the older MMA fighter is also taking steroids, then most would expect the younger roided up fighter to win. But no Randy wasn’t called the “Natural” for no reason, because his cage craft, dirty boxing, ground and pound, his grappling and wrestling techniques were how he would defeat younger opponents – it wasn’t by having more juice then them. Randy is a 3 time UFC Heavyweight champion, and a two time UFC Light heavyweight champion, and true pioneer of the sport that will never be forgotten. Can a Heavyweight have cardio as good as a lightweight? Surely not right? Well that was what people thought before Cain Velasquez burst into the UFC in 2008. His ferocious wrestle boxing game, into heavy ground and pound with unflappable cardio to maintain a high pace throughout the fight, and insane determination was a true rarity to see at heavyweight. He often attributes his hard work ethic to his tough family upbringing through Mexico to America, and his hard training regimes at AKA (American Kickboxing Academy) with long time partners such as Daniel Cormier and Luke Rockhold. I have never seen a fighter at heavyweight in the UFC continually swarm other elite UFC fighters, until Cain arrived, and in his 14-2 MMA record he has finished 86% of his opponents, only going to the judges twice in his career. His trilogy of fights with Junior Dos Santos was the stuff of legends by itself, and no doubt memories of the damage Cain inflicted on Junior across those 3 bouts must still haunt the Brazilian Heavyweight legend to this day. He also was the first person to take the Heavyweighy title away from polarising former Heavyweight champion and WWE superstar Brock Lesnar, which garnered him more praise in his career. The only fight that has eluded Velasquez on his resume of elite opponents, is the same one that has eluded most UFC heavyweights in a super fight with number 1 MMA Heavyweight legend “The last emperor” Fedor Emelianenko. despite the fact that Cain has never been a great talker outside of the cage, he has always been a man of few words, stoic, which has always added to his appeal to me, and his performances inside the have always been a menagerie of beautiful violence and will never be forgotten. Love him or hate him, it really makes no difference how you feel, because Conor McGregor is without question the biggest star in the UFC right now. Some people hate this and say that it is so unfair how much attention he gets, and that he really is just a showman with no true skills, that apparently is always “about to be exposed” by his next opponent. Then what usually happens? Conor usually KOs his opponent or decisively out strikes them for the duration of the fight. Apart from the first Nate Diaz fight, we have yet to see Conor struggle and be decisively beaten inside of the UFC. But as a man born in the UK with many friends in Ireland, I was on the Conor train from day one, because i knew from the way he fights, to the way he talks that he would be champion in the UFC from the moment he stepped foot in the UFC in 2012. Now lets get it straight – after Conor arrived in the UFC and started calling his shots from day one, what have all UFC fighters started doing? Asking for more money, calling out opponents, doing more talking, dressing in better clothes and trying to come up with reasons why fans should love them – Conor has truly revolutionised the sport and really embodied better then any MMA fighter ever, of what the power of one man can achieve in life. His reverberations in the sport are amazing, and after being the first ever UFC fighter to have two championship belts at the same time at UFC 209, who knows what will be in his future – when have we ever heard about a UFC fighter potentially getting a $100 million to fight the most famous boxer of all time in Floyd Mayweather? Never. Conor is known for his ability to speak outside of the cage, but inside the cage his abilities are phenomenal in terms of his striking technique, and the power he carries in his hands – his skills as a martial artist are enough for him to become a UFC legend, but when you take into account his achievements outside of the cage, then Conor had to be in the top 10. Its always hard to say who is the best at any sport – but a top 10 is something that can be categorised. Im not saying that this top ten is without question the best Top ten UFC fighters of all time without question, but if you are a true MMA fan, then im sure you will agree with many of my choices. I hope you enjoyed this breakdown of my Top ten UFC fighters of all time, and if you have any comments, questions, or your own idea of the top ten UFC fighters of all time, then let me know in the comments below. Couldn’t agree more with your picks for the top 10 UFC fighters. Especially with the likes of George St. Pierre, Jon Jones, and McGregor (these guys are brutal UFC machines!). You make some good points on the inclusion of these folks into your lists. I admire these guys for their different skills and approach towards UFC. Hi Merrell, glad you agreed with my top 10 UFC fighters of all time 🙂 Like you said, GSP, Jon Jones and Conor McGregor really are machines in their own right. Awesome website! This is exactly how I want to view a website! I am a Top 10 type of guy, it seems like all things I do are ranked, and this website works directly with my mind-set and it didn’t hurt that it was about one of my favorite sports! Keep up the great work and I will be a frequent visitor! Hey Keith, thanks for your feedback glad you like the site and this top 10 UFC fighters of all time 🙂 and i know what you mean, why is it that our minds always gravitate to top ten rankings? lol. Hi Marley, I am not a big UFC fan although I do watch the McGregor fights as I am Irish myself and he is such a big star.I am actually more into Muay Thai as my son is learning it in our local club. I like the moves and the history behind it and I appreciated that you covered that in your writing.Keep up the good site. Hi Trev, yeah i hear you, in fact one of my work colleagues is Irish and he doesn’t follow MMA either, prefers boxing, but he still knows who Conor is 🙂 seems he has become an icon of Irish celebrities. Thnaks for stopping by and leaving your feedback! Love it. You defiantly know your stuff. Cause I know mine. I am an MMA guru so to speak and I couldn’t have made a better list myself. I would say letting up a bit on Rousey. She isn’t at all what she seemed to be. Anyway good post I will be sure to bookmark your site. Hi James, ah always nice to hear from a fellow MMA guru 🙂 but yeah i know what you mean Rondas career has been crazy, but so Impactful on the sport she had to get in the top 10 just based on opening the doors to women’s MMA in the UFC. But cool thanks for the feedback bro, stop by again sometime! Great article!! I believe your right on the mark with that selection. Each one of those fighters has bought their own individual talents and skills to the octagon and prevailed. Different people have there own belief in the top ten and I would probably add a couple of others but this list of fighters is still very worthy of being in the top ten.Good job. Hi Heath, glad you liked this top ten ufc fighters of all time list! Who else would you add?